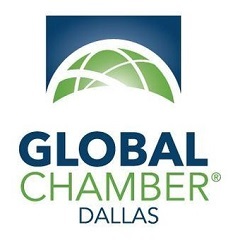 The Dallas Business Club is invited to join the Global Chamber Dallas for a discussion with Bob Jordan, US Ambassador to Saudi Arabia in a discussion about good news in the Middle East! Robert W. Jordan is Diplomat in Residence and adjunct professor of political science in the John G. Tower Center for Political Studies at Southern Methodist University. He served as the U.S. ambassador to Saudi Arabia from 2002 to 2003 and as partner in the international law firm Baker Botts L.L.P. for many years where he headed the Middle East practice in Dubai. He is Vice Chair of the Tower Center Board of Directors. He is a member of the Council on Foreign Relations and a past president of the Dallas Bar Association and the Dallas Committee on Foreign Relations. He is a member of the Panel of Distinguished Neutrals of the CPR International Institute for Conflict Prevention and Resolution. He also serves on the Advisory Board of the Bilateral U.S.-Arab Chamber of Commerce and is a frequent commentator with international media including CNN, Fox News, MSNBC, CNBC, Bloomberg and the New York Times. His memoir, Desert Diplomat: Inside Saudi Arabia Following 9/11, was published by Patomac Books in 2015. Thank you to our event sponsor, Polsinelli!